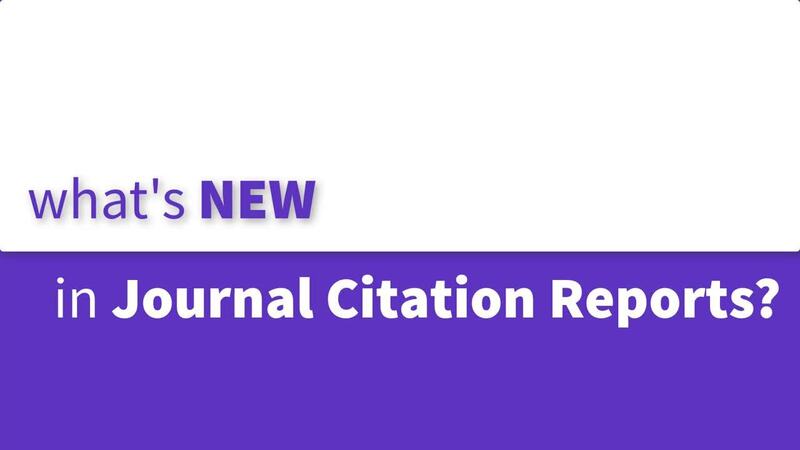 Journal Citation Reports® offers a systematic, objective means to critically evaluate the world's leading journals, with quantifiable, statistical information based on citation data. View journal and article metrics from WoS search results. 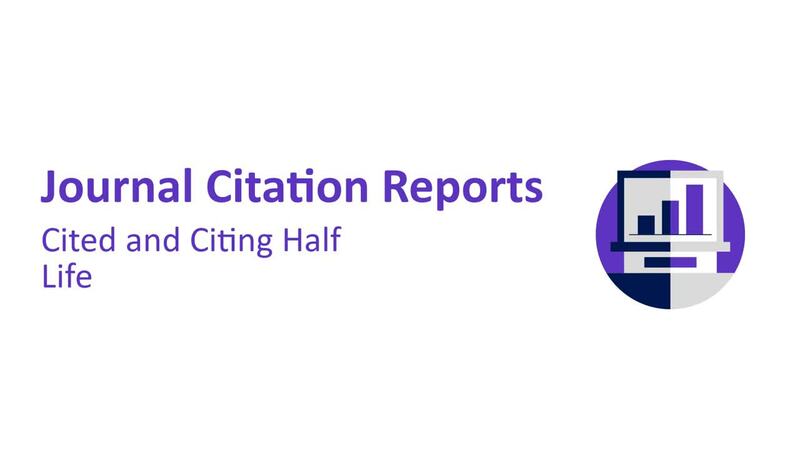 Journal Citation Reports is sourced from Web of Science Core Collection, the premier citation index on the Web of Science platform. Journals must undergo a rigorous evaluation by our editorial team in order to be covered in Web of Science Core Collection. We capture the cited references for all content from these journals, and we link those cited references to the cited papers. This article-level citation data is aggregated to the journal-level at the end of the year to create the indicators available in JCR. Over 11,500 titles from the Science Citation Index-Expanded and Social Sciences Citation Index are covered in JCR. The Science and Social Science editions of JCR are released annually. 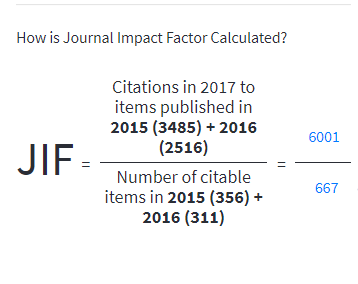 The Journal Impact Factor identifies the frequency with which an average article from a journal is cited in a particular year. You can use this number to evaluate or compare a journal’s relative importance to others in the same field or see how frequently articles are cited to determine which journals may be better for your collection. The numerator looks at citations in a particular JCR year to a journal's previous two years of content. For example, the 2017 Journal Impact Factor for a journal would take into account 2017 items that cited that journal's 2015 or 2016 content. The numerator includes citations to anything published by the journal in that 2015-2016 timeframe. The denominator takes into account the number of citable items published in the journal in 2015 and 2016. Citable items include articles and reviews. Document types that aren't typically cited, e.g. letters or editorial materials, are not included in the Impact Factor denominator. The Immediacy Index measures how frequently the average article from a journal is cited within the same year as publication. This number is useful for evaluating journals that publish cutting-edge research. The numerator looks at citations in a particular JCR year to a journal's content from the same year. For example, the 2015 Immediacy Index for a journal would take into account 2015 citations to the journal's 2015 papers. The numerator includes citations to anything published by the journal in that year. The denominator takes into account the number of citable items published in the journal in 2015. Citable items include articles and reviews. 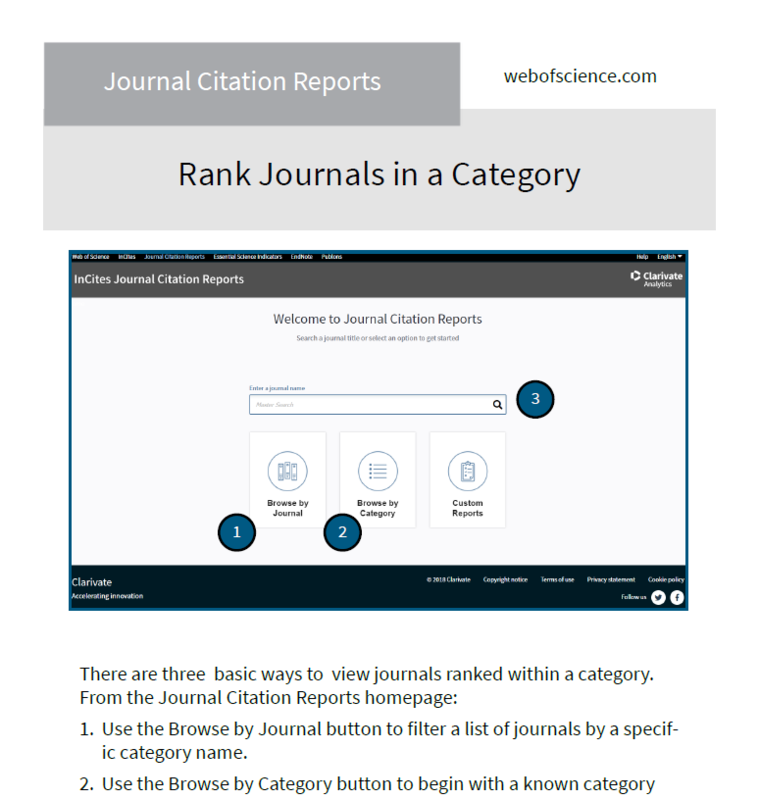 A journal's quartile ranking is determined by comparing a journal to others in its JCR category based on Impact Factor score. If a journal falls in Q1, it means that the journal performs better than at least 75% of journals in that category, based on its Impact Factor score. The journal’s rank in category, determined by Impact Factor, expressed as a percentile. 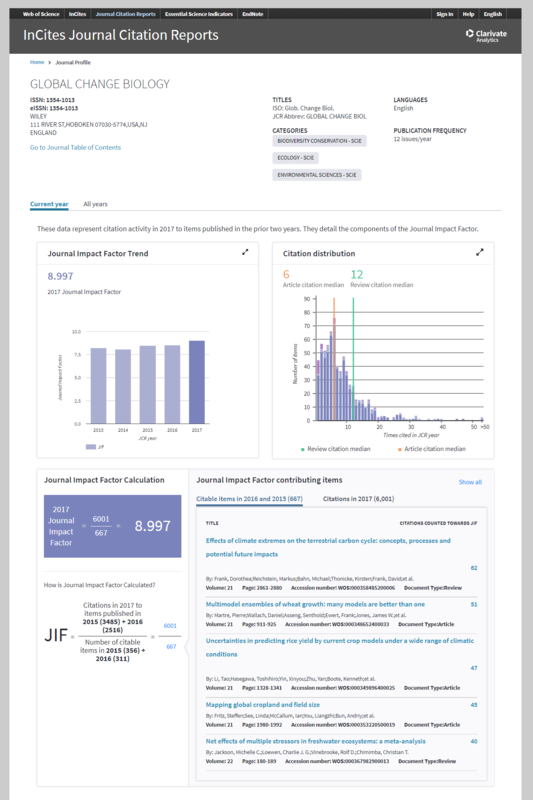 For example, a journal with a JIF percentile of 89 performs better than 89% of journals in that category, based on its Impact Factor score. JIF percentiles give you a more granular view than quartiles do. What depth of literature was cited in a calendar year? A half-life in the context of the JCR is the median age of cited objects. Those can be citations made TO items within a journal or citations made FROM a journal to others.